View of Residential Building VI and VII from Washington Street. Image by Scott Frances. 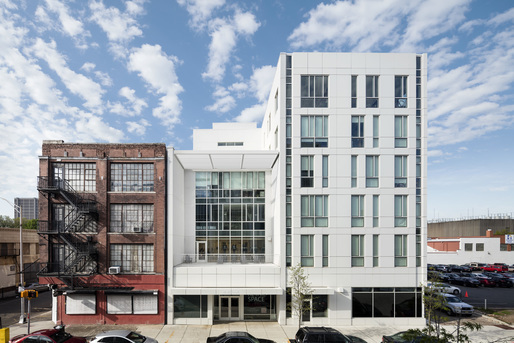 New York, February 15, 2017 – Richard Meier & Partners Architects has completed three new Workforce Housing Buildings in Newark, New Jersey. These new buildings now provide 123 residential units and a variety of retail spaces. 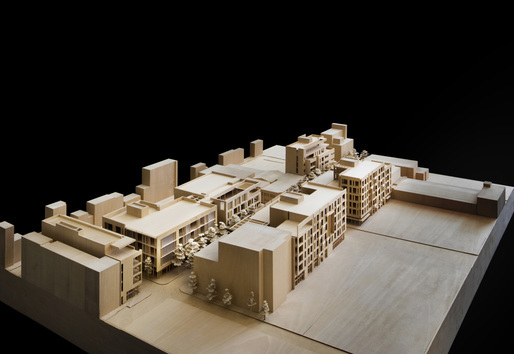 Within the Teachers Village project, all of the Richard Meier & Partners buildings have been designed with open interior spaces full of natural light. 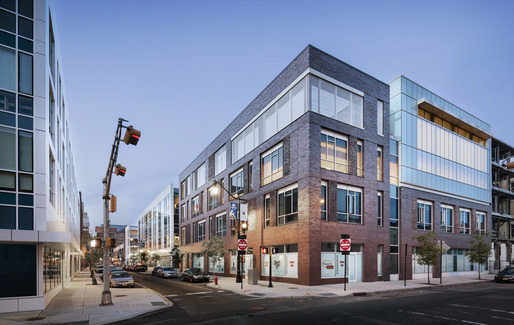 Teachers Village is a mixed-use development by RBH Group in downtown Newark located south of Market Street and west of Broad Street. It encompass six new buildings, including Workforce Housing, three Charter Schools, an early childhood learning center, and small to mid-scale retail located along Halsey Street between Branford and Pearl Streets. Sustainable design, new landscaping and streetscape improvements are integral to the goal of creating an exemplary development for a flourishing community in Newark. Five of the building have been completed and occupied, and the sixth and final residential building will open this spring. Each new building is site specific and designed relative to its context. Street façade heights are regulated in accordance with the Newark Living Downtown Plan. The new Halsey Street retail corridor is at the heart of the development and offers a mix of venues for a vibrant street life. The residential spaces and schools are designed with generous windows that are open to the light and activity of the streets below. As required by the Newark Living Downtown Plan, all of the new building fronts facing Halsey Street are four-stories tall, not exceeding 60-feet in height. As permitted by zoning regulations, the buildings are setback from Halsey Street. 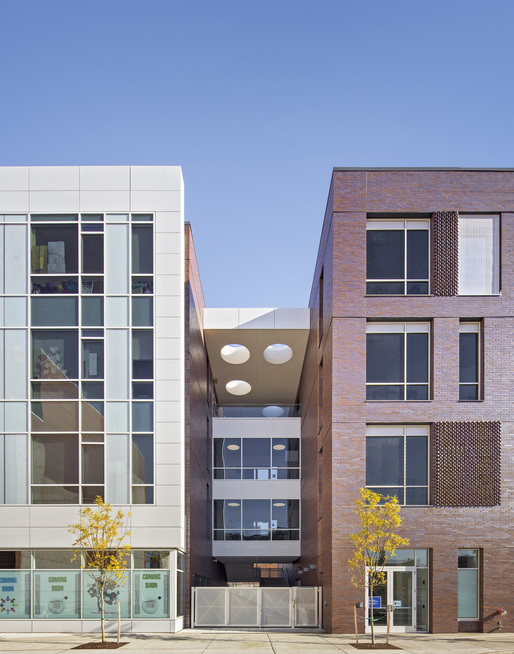 Teachers Village is one of the first developments in America to pursue the LEED Neighborhood Development designation by the US Green Building Council, indicating that the project meets the highest levels of sustainable design and that the neighborhood integrates the principles of smart growth, urbanism and green building strategies. Former parking lots are transformed into a sustainable new neighborhood that offers its teacher residents opportunities to live near where they work and to experience high-quality healthy living in an affordable, safe environment downtown. The development is conveniently located to benefit from Newark’s efficient public transportation system, from extensive local and regional bus lines to a short walk to the Washington Street light rail and Newark Penn Station, hub for NJTRANSIT, AMTRAK trains and PATH train service to Manhattan. Teachers Village will restore a sense of place by activating the streetscape, along Halsey Street and William Street, attracting residents, students, and visitors to this dynamic new community and to the existing cultural, entertainment and educational infrastructure with institutions such as the New Jersey Performing Arts Center, the NJ Historical Society, Newark Museum, the main branch of the Newark Public Library and the Prudential Center Arena. Access to open space for Teachers Village residents includes proximity to three city parks and community gardens..